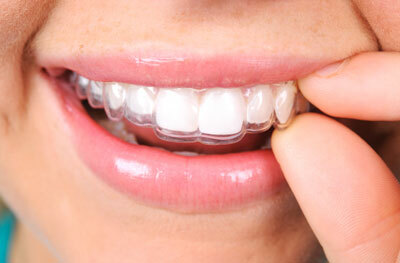 Orthodontics and dental services like braces have come a long way in recent years. From clear, removable aligners like Invisalign and ClearPath to options like Quick Straight Teeth that can shave years off the usual treatment timeframe, there are a range of options to help you achieve a straighter smile. Whether you’re an adult who didn’t have orthodontics when you were younger, someone who has worn braces in the past but is no longer happy with their teeth or have a child needing orthodontic treatment for the first time our friendly, qualified team can help tailor a solution to suit your teeth, budget and lifestyle. We’ll take a look at the features and benefits of some of the orthodontic services that we offer here at First Dental Studio. With clear aligners like Invisalign and ClearPath, you can straighten your teeth without the world knowing and even remove them for short periods (but for optimal results you should keep them in for 20-22 hours each day). You can transform your smile in as little as twelve to eighteen months with Invisalign or ClearPath. The clear aligners are smooth and comfortable which reduces some of the pain and discomfort associated with wearing traditional metal braces. Your follow-up visits are generally less frequent, making them easy to fit into your busy schedule. With our convenient Brisbane CBD location in the BUPA Building on Albert St you could even fit the appointments into your lunch break! If you’d like to straighten just your front teeth quickly and affordably, Quick Straight Teeth is a fabulous option. This fast teeth straightening system optimally aligns the teeth that are exposed when you smile. Because Quick Straight Teeth only focuses on the front teeth, it takes less time than traditional braces. The combination of inexpensive laboratory fees and speedy treatment times helps to make Quick Straight Teeth one of the most affordable adult orthodontic systems. While they’re not as inconspicuous as treatments like Clear Path or Invisalign, Quick Straight Teeth uses tooth coloured brackets and wires. As its name implies, Quick Straight Teeth is fast! While it will depend on your own circustmances, it most case you can boost your smile’s appearance in as little as one month, though the average duration is around six months. As each treatment plan is tailored for the individual, prices and quotes will be given during your consultation. Some orthodontic treatments may be eligible for private health rebates, depending on your level of cover with your fund. Orthodontics including Invisalign may also be eligible for discounts via smile.com.au membership. We will talk to you about your options and provide a detailed quote based on our recommendations. For more information about our clear orthodontic options, we invite you to book an obligation free, complimentary consultation with one of our dentists to help you decide the best option for you. We’re located on Albert Street in the BUPA building in the heart of Brisbane’s CBD, just near King George Square and the Queen Street Mall.